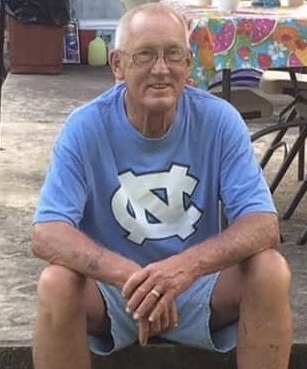 John Harvard Winn, Sr, 71, of Elon, NC was surrounded by his family when he went home to be with the Lord on April 14, 2019. John was born in Alamance County on January 25, 1948 the son of late James and Maydell Winn. He was employed as a manufacturer for many years. He was an avid sports enthusiast; playing softball and golf throughout his years. He was well known in the racing community of Ace Speedway for his quick wit, good food and conversation. John is survived by wife Ginny Winn, daughter Dawn Williams (Paul), son John Winn, Jr (Tracy), and son Sonny Winn; brother Jimmy Winn, sister Kathy Winn, and sister Cindy Reese (Tony). Four grandchildren – Caitlin, Emily, Gabriel, and Graci and a special nephew, Dillon Reese. A Celebration of Life Service will be held at 2pm on Wednesday April 17, 2019 at Berea Christian Church (2828 Old NC Hwy 87, Elon) The family will receive friends 11:30am-2:00pm in the fellowship hall of Berea Christian Church prior to the service and other times at the home of Ginny Winn.